What is Tansu in Japanese? 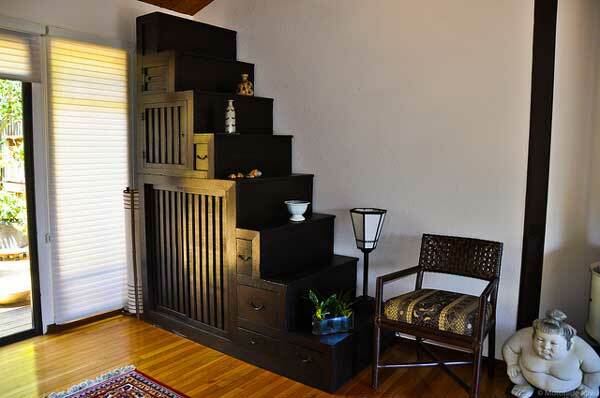 Tansu is a traditional style of Japanese furniture that are designed to be mobile storage cabinets. The word “tansu” is used to refer to Japanese furniture in a general sense but has a literal translation meaning “chest” or “container.” Made using traditional hand woodworking tools, tansu furniture has been perfected as an art form throughout the centuries. Handcrafted by tansuyas (tansu craftsmen), tansu is connected to many different types of Japanese furniture. Tansu places an emphasis on functional use over the aesthetic design. It’s bold and powerful presence captures an era known for samurais and traditional Japanese nobility. The focus on ergonomics is different in the sense that the functional use caters to a unique need; the need to be mobile and easy to transport. All tansu furniture hold two qualities in common; it is mobile and functional. Minimalist Design with straight lines and little ornate detailing. Hardware was functional because iron was forged at this point in time. Made from soft and hard woods; Keyaki (elm), Kuri (chestnut), Ezo Matsu (pine), Sugi (cedar), Kiri (paulownia), and Hinoki (cypress). Coated in a dry or lacquered finish. Tansu embodies the exotic appeal of handcrafted Asian furniture while filling the need for highly mobile storage units. Tansu furniture often uses iron, a status symbol in Japanese culture and often associated with prominence and nobility. Once you understand the common features of tansu furniture, you’ll instantly be able to distinguish tansu furniture from other types of cultural furnishings around the world. Tansu accommodated the daily lifestyle and culture that was commonplace between the years of 1688 and 1704. The word tansu is actually a combination of two words; Tan and Su. The first ever recorded evidence of tansu dates back to the Genroku Era of the Edo period in Japanese history. 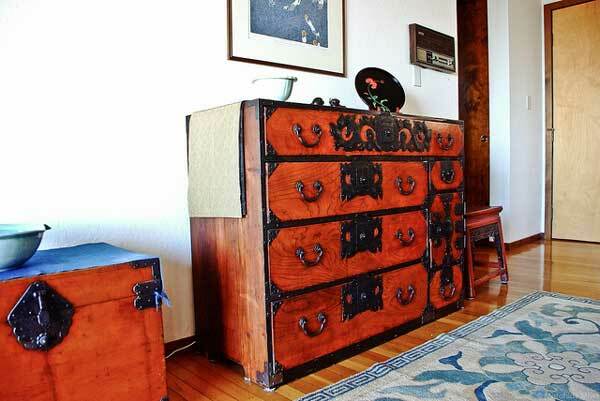 Tansu furniture originates from the Edo, Meji, and Taisho periods. It was first made for the court of the emperor and feudal lords. Tansu was often made from soft woods that were lightweight, making it easy to transport possessions. There is a lot of confusion when it comes to the difference between tansu and dansu. When hyphenated with another word, the “t” in tansu becomes a “d” and effectively becomes “dansu” instead of tansu. The two words have essentially the same meaning but are used for grammatical purposes. This is how we get the combination of various types of tansu furniture including kaidan-dansu, isho-dansu, and choba-dansu. Isho-Dansu are clothing chests that are used to store various clothing garments. It’s not uncommon for Isho-Dansu to be covered in a high gloss lacquer and to have iron hardware. In modern times, gloss is associated with contemporary furnishings but the traditional iron hardware antiquates these pieces. A katana is a traditional Japanese sword with a very long blade. Katanas are known for being some of the best swords in the world and are even sharp enough to cut through bone. Katana-Dansu was used to store these katanas. Kiri wood helped protect the blades from oxidizing during humid summer months in Japan. Choba-Dansu is similar to a filing chest used to store daifukucho or account books. These were commonly used by businessmen, merchants, and shopkeepers. Choba-Dansu was popular during the Edo period between 1615-1868 and featured a single section with many compartments in the interior of the cabinet. Kusuri-Dansu, otherwise known as medical chests, are a traditional type of tansu furnishing used to carry medicinal herbs. Like Choba-Dansu, Kusuri Dansu is often times covered in a lacquered finish and was made out of lightweight kiri to be easy to transport. Funa-Dansu or “ships chests” were used to store money and other valuable goods on trading vessels that were licensed to transport rice by the feudal Shogunate. Exterior surfaces were made out of keyaki. Funa-Dansu developed into three main categories; kakesuzuri, hangai, and cho-bako. Kakesuzuri and cho-bako were used to carry valuables and cho-bako was used to carry important accounting documents. Kuruma is actually the word for car is Japanese. This makes the name fitting for Kuruman-Tansu which is a type of portable, wheeled furniture. Kuruma-tansu would be used for heavier furniture that needed to be easily transportable. These cabinets may have required wheels due to the material they were made out of (cedar wood), the size, or a combination of the two. Cha-Dansu is a small tea chest that is made to carry ingredients and utensils to make tea. Tea is common place in Japanese society and continues to be so in modern times. These chests would be made with many smaller compartments to carry a variety of ingredients. Antique tansu furniture is difficult to find and is very expensive. You can find reproduction tansu furniture that is is made to mirror the design and aesthetic of authentic antique tansu. 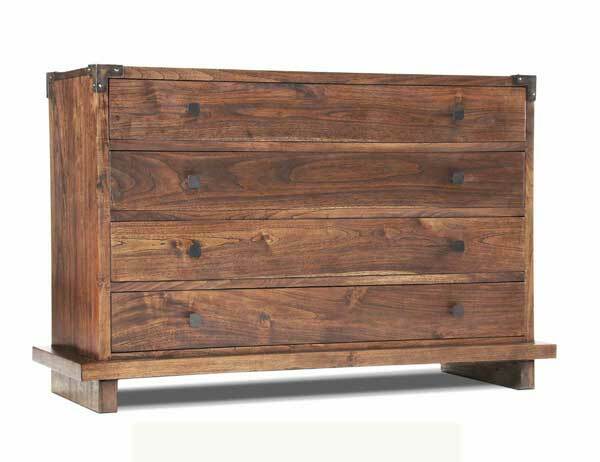 Modern reproductions of tansu chests can also be found with decorative hardware due to the abilities of modern iron pressing machines. The Kobe Japanese Tansu Dresser. Handcrafted from mahogany. $1,198.00. Tansu.net specializes in exotic Asian furniture imported directly from countries across Southeast Asia, Japan, and China. 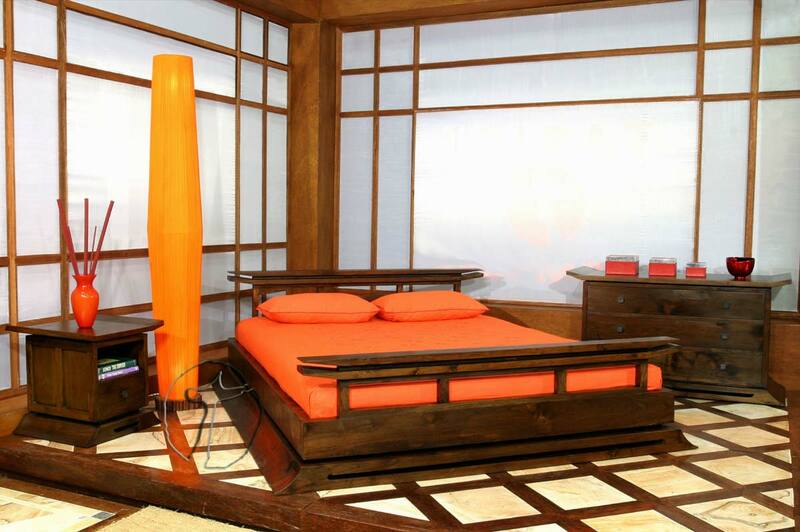 Visit Tansu.net to shop for bedroom dressers, living room, and dining room furniture. You will also be able to find many accessory novelty items that can be used to fashion your home. Cheryl Khan is an interior designer and contributing author to the Tansu.net Blog. She has an investigative mind that enjoys the story behind design. You can contact her by sending her a tweet @SuperInteriors. This entry was posted on Wednesday, October 22nd, 2014 at 1:35 pm	and is filed under Asian Furniture. You can follow any responses to this entry through the RSS 2.0 feed. Both comments and pings are currently closed.